Start them now for stunning summer blooms. Gladioli are one of those wonderful plants where its impactful beauty and glamour far outweighs the work involved in growing it – a gardener’s dream, a real jackpot plant! 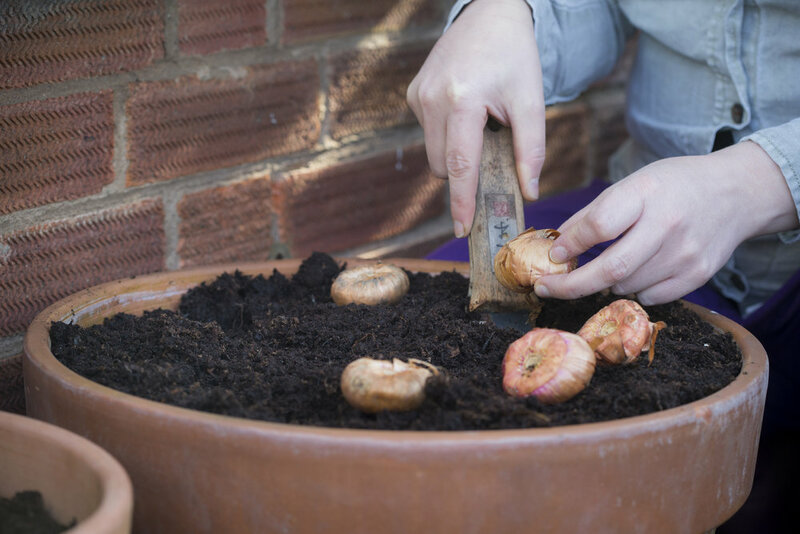 With a bit of simple bulb planting, you’ll get impressive, tall, bright blooms all summer and into autumn. It’s a more tender summer bulb than some, so shouldn’t really be planted out properly in the garden until late spring, but it’s well worth getting them going now in pots, popping them in a frost-free place to grow on and then they’ll be ready to bring out to the patio, or plant out in borders, when the frosts have gone in your area for the year. You can even keep them in the pot they’re growing in, creating a hole just big enough for the pot and its contents in your borders, and whip it out again in mid-autumn for overwintering. In milder areas of the country, you may plant gladioli bulbs out in the garden in late spring, leaving them be except for a thick mulch in late autumn to keep them warm. When planting in pots, simply pack them closely but not touching, about 2cm apart, in pots filled with good multipurpose compost. Plant them 15cm deep. A good tip is to plant them successionally from now, every 10 days or so for a couple of months so you’re blessed with a longer season of colour.